What vitamins can help you get pregnant with twins? Can some foods make you ovulate on both sides and have the chances of getting twins? It is always a joy having two or more kids born at the same time. However, unless one has the twins gene running in their family, it is futile simply hoping you will get twins. The good news is that, with the right diet, you can successfully get your double bundle of joy. Here, learn the foods that have the right ingredients to stimulate twins and multiple births in general. These foods have the right vitamins to help get pregnant with twins. Can vitamins help get pregnant with twins? What vitamins help conceive twins and how? Specific vitamins have been linked with multiple births. Specifically, the vitamin responsible for twins is folic acid or vitamin B 9. This vitamin is known to stimulate both fraternal and identical twins in women who take sufficient amounts of it before and during the pregnancies. What foods can help you get pregnant with twins? Folic acid and other vitamins responsible for twin births can be found in supplements or specific foods. The specific vitamin responsible for twins is folic acid (vitamin B). Folic acid is easy to find either as a supplement or in natural foods. 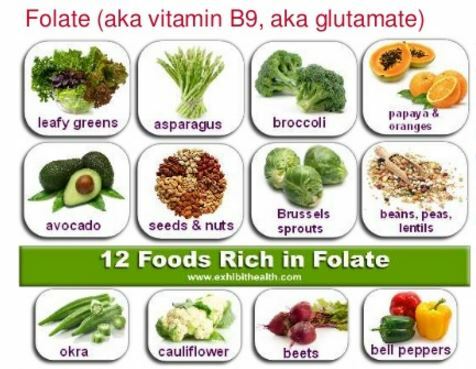 Some of the most common vitamin B supplements include folate and folic acid tablets. If you are taking folic acid supplements, the recommended dosage is 400 micrograms of folic acid per day several days leading to the pregnancy. This amount can be increased to 600 micrograms a day during pregnancy. Folic acid is known to increase chances of having twins by increasing the chances of having multiple ovulation and the implantation of more than one fertilized egg on the walls of the uterus. Twins or multiple births in general occur in two ways. The first method is when two mature eggs are released by the ovaries, fertilized and implanted on the walls of the uterus successfully. In such a case, the twins would have been fertilized by different sperms leading to fraternal twins. In the second incidence, a single egg will be fertilized by a single sperm. However, during cell division, instead of dividing and developing together, they separate from each other. The two then develop as independent embryos to form babies that share the same characteristics. SEE ALSO: Is constipation an early sign of pregnancy? You can get vitamin B9 or folic acid from natural supplements or some foods. Foods rich in vitamin B9 include most dark green vegetables, beets, carrots, lentils celery etc. The foods with the vitamins to help you get pregnant with twins include the following. Lentils are a legume known for their high nutritional value. Given that the vitamins you will be looking for are of the B family, lentils are a great option as they have both vitamins B1 and B6 besides other nutrients. Also called the butter pear, the avocado has a lot of folate which can contribute immensely to the sufficient amount of vitamin B complexes. Besides that, you will get a lot of nutrients from it including fiber. Dried nuts have a high amount of folic acid and the folate compound. No matter what method you use to eat them, you will still get the vitamins to help get pregnant with twins. While most fruits have high amounts of folic acid, citrus fruits have the highest amount of this acid. Oranges and lemons are some of the most common citrus fruits. Vegetables such as asparagus, Brussels sprouts, okra, turnip greens, collard, spinach, kales, broccoli have healthy amounts of folic acid which can be very beneficial towards preparing your body to have twins. While known for having large amounts of vitamin C, cauliflower also has high amounts of vitamin B complexes. Most people prefer adding it to a salad. When cooked or roasted, corn is a good source of folic acid. A cup of cooked corn has about 34 mcg of this acid. As one of the best natural antioxidants, beets also pack a lot of natural folic acid which can be a major contribution to the amount of vitamin B in the body. You can receive a folate boost from either eating carrots or drinking its juice. Baby carrots have the highest amount of juice and nutrients. Most doctors recommend celery as a food to clear and prevent the formation of kidney stones. Besides that purpose, it also has sufficient amounts of folic acid to make it a good food for those seeking to bear twins. No matter the season, squash is a great addition to your diet especially when you are seeking to get pregnant with twins. While cassava has not been listed on some lists as a food for increasing chances of having twins due to a lack of scientific evidence, it has been used in many cases by people who aim for the same result. This root is associated with hyperovulation and can be taken as food, cassava pills and supplements. The consumption of dairy products in large amounts has been linked to giving birth to twins. While most dairy products such as milk have a good amount of vitamin B complexes (the vitamins to help get pregnant with twins), there are also other reasons. First, dairy products are known to increase the production of the insulin growth factor which is a type of protein. This protein has a significant role in the production of multiple mature eggs during the menstrual cycle. Secondly, consuming a lot of dairy products has the effect of making the ovaries more sensitive to hormones that take part in the menstrual cycle. This increases the chances of giving birth to twins. Yam is a type of root similar to cassava. It is associated with inducing hyperovulation since it has the progesterone hormone and phytoestrogens chemicals. You can find yams in African and Asian markets. The core of a pineapple is known to contain large amounts of the protein bromelain which is responsible for increasing ovulation and implantation. The maca root has been used for a long time to treat infertility. It works in both men and women and will increase the chances of bearing twins when used often. Both of these minerals are used in the building of body parts and fluids and are thus a good addition to the diet of a person intent on conceiving twins. Some drugs such as clomid increase the rate of ovulation thus making it easier to conceive twins. Before taking any such medications, make sure you have received sufficient advice from your doctor on the drug and its side effects if any exist. If you become pregnant while breastfeeding, the chances of conceiving twins are increased greatly. If you weigh more than the average lady, your chances of conceiving twins are higher than the average lady too. 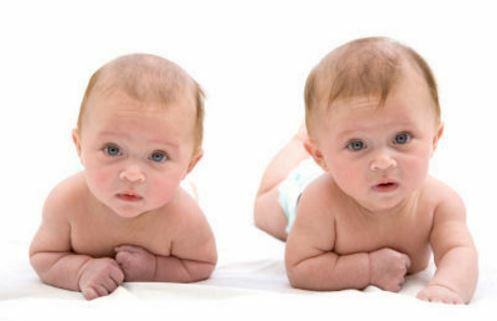 The more the number of births you have had, the better your chances of having twins. Most of the women who have twins running in their family are also likely to give birth to twins or multiple births in general. If you stop using birth control pills, the first ovulation you will be having is likely to be hyperovulation. Scientific evidence points to older women having a higher likelihood of conceiving twins compared to their younger counterparts. As observed here, vitamin B complexes are what you will need to increase your chances of conceiving twins. While most of the multiple births that used to occur in the past were mainly due to genetic predisposition, most women are able to have twins today due to the amount of research that has gone into this medical phenomenon. Also, while the vitamins to help get pregnant with twins are simply those of the vitamin B group, there are many other substances that can be put to the same purpose with excellent results. Trimester Talk. 15 Ways To Get Pregnant With Twins Naturally. Conceive easy Fertility Drugs to Have Twins.